Product categories of Top and Bottom Gift Box, we are specialized manufacturers from China, Base and Lid Gift Box, Top and Bottom Watch Box suppliers/factory, wholesale high-quality products of Top and Bottom Gift Packing Box R & D and manufacturing, we have the perfect after-sales service and technical support. Look forward to your cooperation! 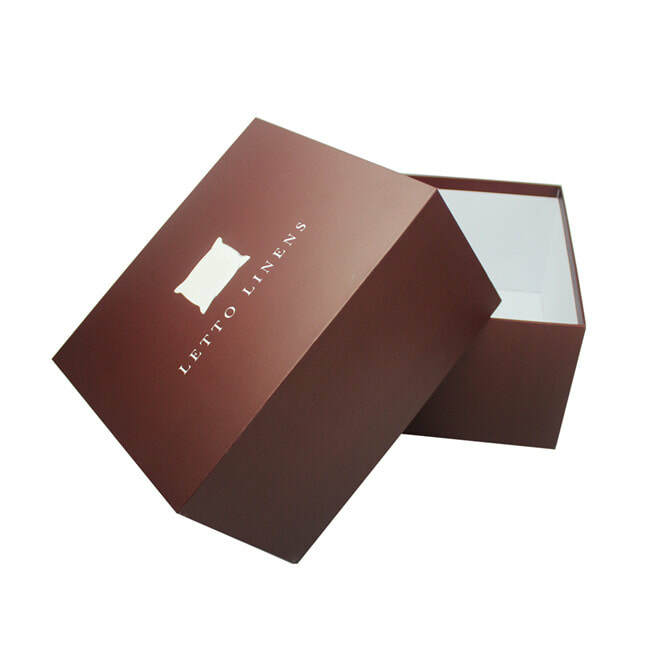 Top and Bottom Gift Box is a kind of simple rigid gift box with construction of a base and lid. As its construction is simple the Base and Lid Gift Box can be totally made by machine and thus the manufacturing cost is very low. 1. Below is the sample construction one. The lid cover almost the whole base. 2. Below is more complex than above normal one as there is surrounding edge inside the base to joint the whole box. It looks nicer than the normal one.